In girls' lacrosse, only the following optional headgear is allowed. Not to be mistaken for a helmet, the outer shell of headgear is made of soft materials that allow for safer head-to-head contact between a girl wearing the headgear and another with no headgear. In contrast, the goalie must wear a helmet, which has a hard outer shell. 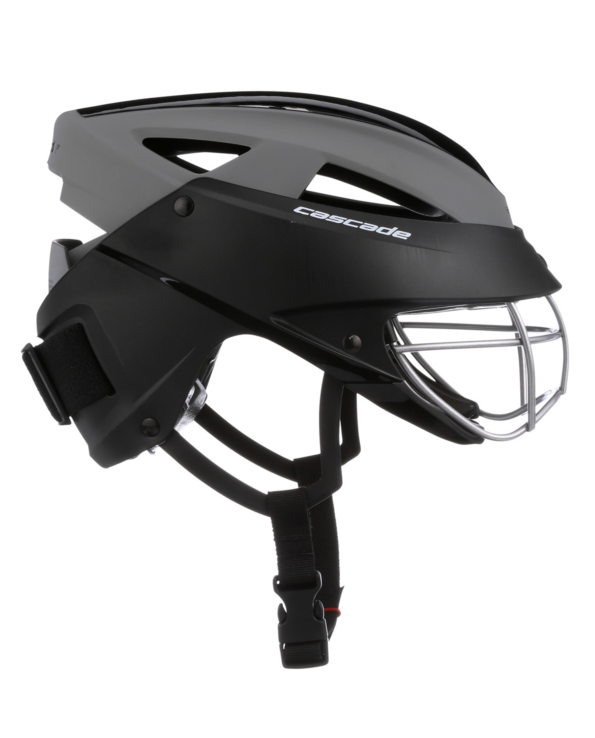 Girls lacrosse headgear, which is relatively new to the market, is optional because there is not enough data yet to show a direct correlation between wearing the headgear and a reduction in concussions and other head injuries. According to the American College of Sports Medicine, "more research is needed to determine the role of headgear and protective equipment in preventing head and facial injuries." The goggles are integrated into the headgear which also features a slot at the back to easily accomodate many hair styles (high braid, pony tail, etc.). To learn more, see the Cascade Headgear Safety Booklet.